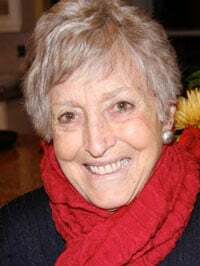 MISSOULA – Elizabeth “Betty” Precht, 83, of Missoula, died Saturday, June 7, 2014. She was born Elizabeth Davis Sullivan on Dec. 22, 1930, in New York City to Edward Vincent “Ed” Sullivan and Sylvia Weinstein. In 1937 her father, a newspaperman, was transferred to Los Angeles where Betty for the first time lived in a house, attended a public school and had a bike. At the outbreak of World War II, the family moved back to Manhattan and lived at the Astor Hotel in Times Square. Betty’s room overlooked the flashing Wrigley Gum sign as she watched the crowds of Broadway during wartime. She dined with her parents at fine restaurants or ate with her companion at the automat. When her family moved to the Delmonico Hotel on Park Avenue, Betty was enrolled at Miss Hewitt’s Classes, a private girls’ school where, in 1948, she graduated in a class of nine. She chose to go to UCLA, where she met Bob Precht an NROTC student from San Diego. Upon graduation in 1952 they were married. Betty became a Navy wife as Bob served in Korea and later Washington, D.C., where their first child was born. In 1956, now with two children, they moved to the New York suburb of Scarsdale, New York, where three more children were born. Betty was a full-time mother devoted to raising her family and supporting Bob who had joined her father in the television business. In the late ’70s Betty, Bob and younger members of the family moved to Los Angeles. Betty continued parenting and aiding Bob while working part time as a travel agent and an AIDS hotline volunteer. In 1990 Betty and Bob moved to Missoula, where Bob managed the family’s TV stations and other businesses. In Missoula Betty made new and invaluable discoveries: exceptional friends and neighbors, a vibrant community, an appreciation of nature, and a great deal about herself. Though Betty enjoyed the advantages of being the daughter of a celebrity, she remained firmly grounded. For 24 years she was a volunteer at St. Patrick Hospital helping patients and families. She made lasting friendships, gaining the respect and affection of everyone who met her. She will be remembered as a lovely lady, in a pink smock with a warm, ready smile. She leaves a loving family that will miss her beyond words. Betty is predeceased by her mother, father and son Andrew. She is survived by her husband Bob of Missoula; children Robert Edward Precht of Honolulu, Carla Elizabeth Precht-Rodriguez of Brooklyn, New York, Vincent Henry Precht of Burbank, California, and Margo Elizabeth Speciale of Annapolis, Maryland; and grandchildren Sylvia and Zina Precht-Rodriguez, Skylar, Sophie and Chloe Speciale and Sullivan Precht. A funeral Mass will be announced. In lieu of flowers, memorial remembrances should be donated to the Poverello Center.